MINT Wand 4' LED Veg - FREE Shipping! Every Ruler should have a sceptre, and when you rule over your plants it only fits that you should have one too! We proudly introduce to you MINT LED’s new 4' LED Veg Sceptre. Drawing just 59 Watts and made of lightweight aluminum, this fixture gives you the ability to deliver light where you see fit! Use this light for propagation, vegging, or supplemental lighting for your flowering room. With a great veg spectrum, the 28 diodes in this light combined with a unique high transmittance lens guarantees outstanding PPFD and a proper light coverage! 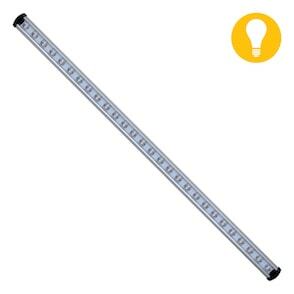 MINT LED brings quality and precision to your grow room allowing the Sceptre to be the ruler of your plant kingdom!